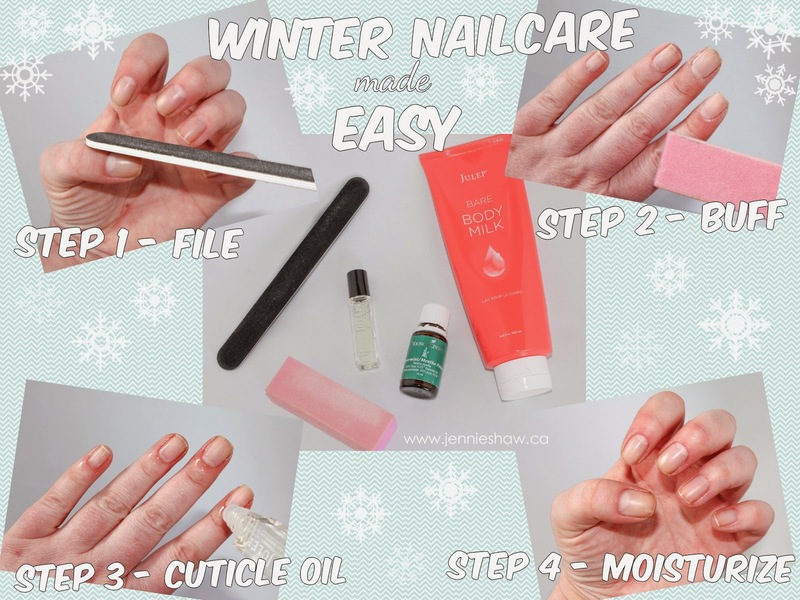 jennie's nails and tales: the nail files: winter nail care made easy! But since I'm super lazy efficient when it comes to nail care, I figured I'd share my bare-minimum guide with you. Haha! As you can see, my winter routine is about as simple as it can get. This is the process I go through every time I change my nail polish, which is about twice a week. 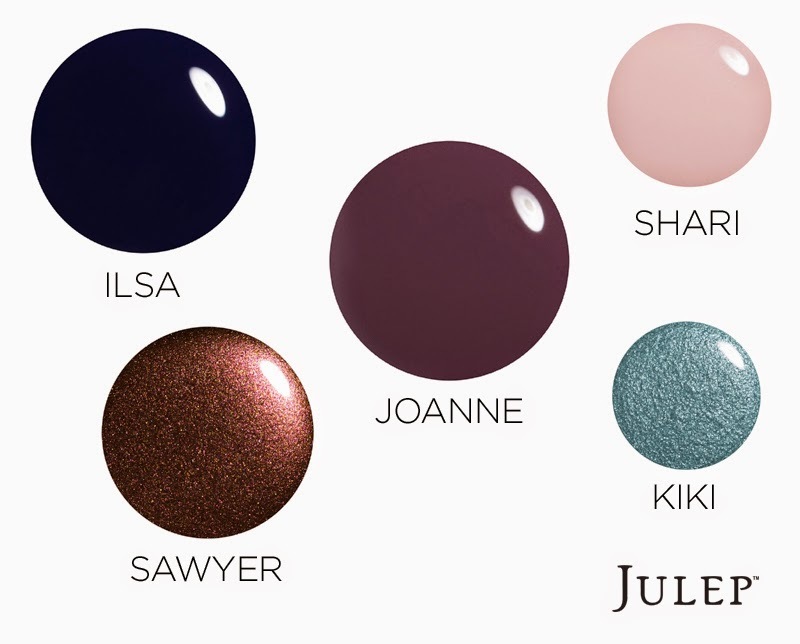 That said, I'm blessed in the cuticle department, so if you're someone whose cuticles need extra attention, you're probably best to stick with Julep's tutorial. Aside from that, they're pretty similar, but I'm still going to walk you through mine, because I'm an egomaniac inclusive like that. Once your nails are polish-free, you're ready to start Step 1, which is filing your nails down. I like to rock a shorter squ-oval, which is a square shape with curved edges. Also, I'm pretty sure that "squ-oval" is a real nail term but, uh, don't quote me. Haha! Step 2 is all about the buffing. I have ridges on my nails, so if I don't buff them, they're visible through the polish. Don't buff too much, though, or you'll weaken your nails and make them susceptible to breaking, which is the worst so BE CAREFUL. You've been warned. For Step 3, I roll on a generous amount of cuticle oil. I'm OBSESSED with Julep's Essential Cuticle Oil, both because of how it works but also because of its lovely, calming scent. Plus, it comes in a bottle with a roller so you don't have to deal with messy brushes and accidentally tipping over a huge bottle of cuticle oil onto your carpet, consequently ruining it forever. Not that I know anything about that, of course. I leave the cuticle oil on for a while and then move onto Step 4, where I moisturize. I prefer lighter moisturizers, and Julep's Bare Body Milk works great. I like to add a drop or two of peppermint oil to it too, because mint makes everything smell fresh and winter-y. And that's it, folks! Well, aside from actually doing your nails, that is. You know, because naked nails aren't nearly as fun as awesomely-painted nails. Haha! I usually wait about half an hour to let the moisturizer do its thing, and use the time to decide on colours. I picked out a dark blue I already had, a new mushroom-pink from the January Maven box, and my ultimate favourite hex glitter. Dark colours are perfect for winter, and the added dot of mushroom-pink gives this mani a bit of flare. And, of course, I had to have some sparkle because if you can't wear glitter on your nails every day then I don't even know. Haha! And what is your winter nail care routine? Are you lazy like me or do you go all out? I've been STRUGGLING with painfully dry hands this winter even with all the extra moisturizing I do. It's just awful. Pretty mani friend!! I need to a little better care of my cuticle. I just push mine back and used lotion on my hands. My nails need a lot of help. I've been using a lot of glitter polishes & my nails are so dry from it. I have Burt's Bee lemon cuticle cream. I always forget to use it though. I keep it in my purse & only seem to use it when I'm bored. Like at my daughter's dance class. We can't actually go in & watch them. So we have to watch them on a video screen. I am terribly lazy with nail care!! I ocassionally use oil and that is it! You do a really good job!